Star Wars Battlefront is an example of "two steps forward, one step back". On the one hand we have an experience that loyally recreates war in a far off galaxy, perfectly transporting you into the movie franchise. In addition, its game modes are fun, especially if you only enjoy them in small doses. Unfortunately, Star Wars Battlefront lacks content and variety. Where are the space duels? Star Wars Battlefront is a joyous assault on your sense. Every version of the game is a technical marvel, but it proves especially dazzling on PC. Even if you've never seen an episode in the Star Wars saga, you'll be mesmerized as the Imperial AT-STs stomp across the snowfields of Hoth while the sound of TIE Fighters fighting X-Wings punctuate the skies. In terms of pure mechanics, Star Wars Battlefront is impeccable. 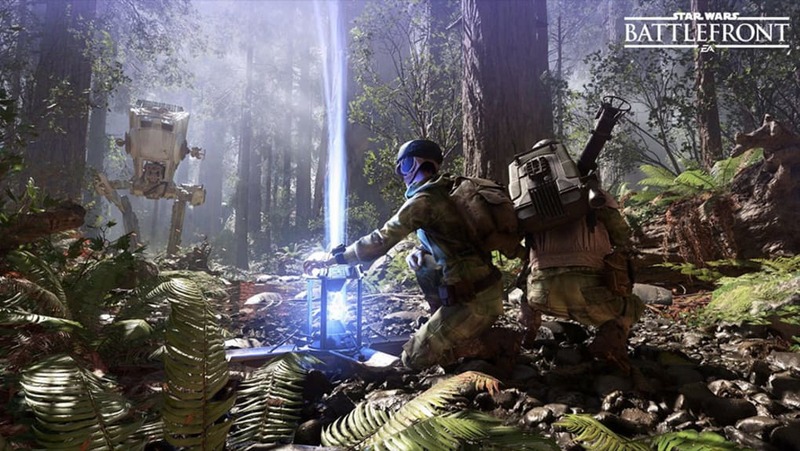 This is to be expected of course - developer DICE has built on the solid success of its Battlefield field series, adapting its Frostbite engine to Battlefront. From the movement to the trigger system, even the character classes, all lift from DICE's previous games. The result, any player - regardless of skill level - can have a great time, whether you play five minutes or two hours. 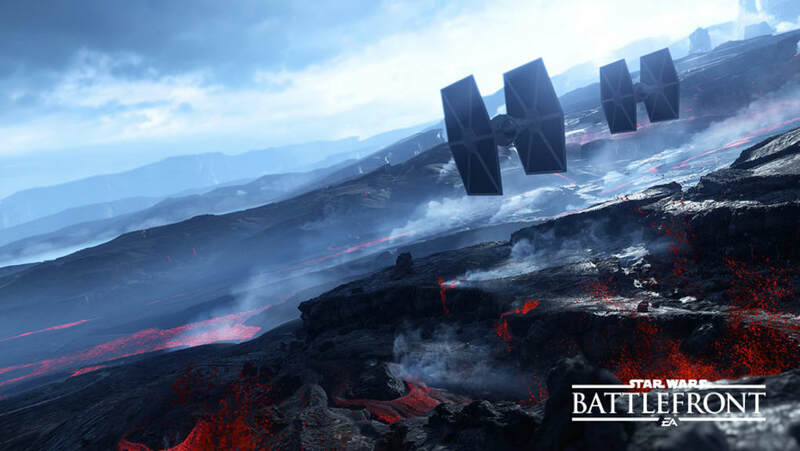 The Supremacy Mode Star Wars Battlefront is the star of the game. 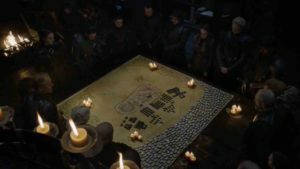 It gives you the opportunity to engage in a battle of 20 Rebels vs 20 Imperial for control of five key points on huge maps. It is a delight. If you do not like large-scale battles, however, Battlefront also offers 10 vs 10 Deathmatch and a Droid Run mode - in which two teams of 6 vs 6 players must activate and maintain three droids. 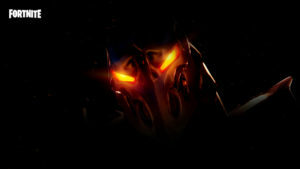 Do not forget, the game also offers you the possibility to play as iconic heroes and villains. Earning the ability to step into the shoes of Vader or Luke during a fight gives you a chance to use the Force. In this sense, Star Wars Battlefront is very accessible. 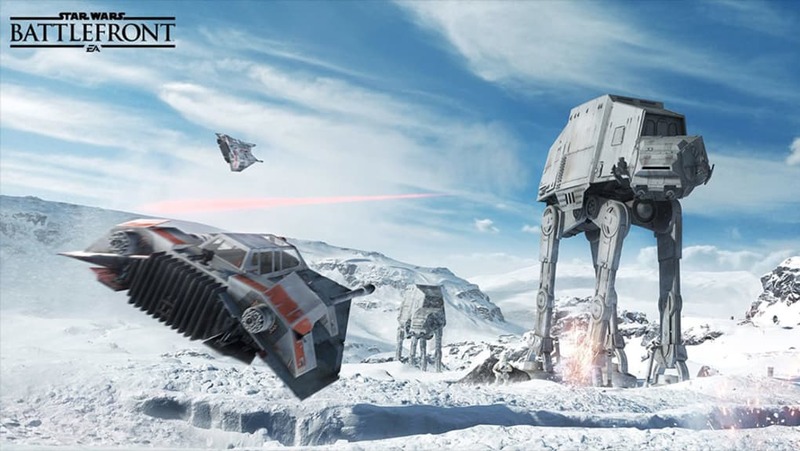 The Star Wars Battlefront problems arise when we think of the game as a long term investment. And these drawbacks can be summarized in three words: lack of content. No story mode or solo missions makes things quite boring, as no context is offered for the world other than “Star Wars”. And, even when leveraging the franchise, you can forget reliving those epic space battles as in the previous 2005 Battlefront 2. Plus, controlling vehicles during in atmosphere combat also leaves much to be desired: there is no sense of speed and the controls seem almost too simple. 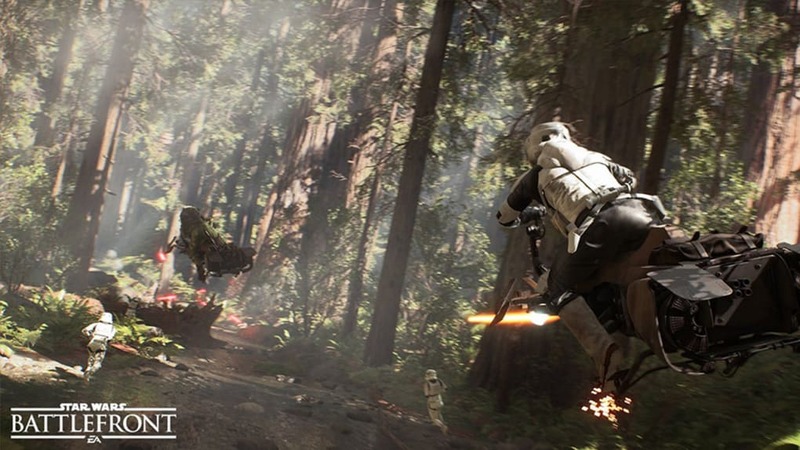 Star Wars Battlefront is also restricted in its locations. The worst thing about this is that we already know exactly why: publisher EA is preparing to release them as DLC. Much of this is planned to be free to coincide with the Force Awakens release – but there is so much planned, and so little in the initial product, that it is hard not to recommend waiting to see how good this later content is. Simply, with what is on the disk today, there are very few hours of play to be had before things get repetitive. Aren't you a little short to be a full game? If you love Star Wars and Battlefield then you are sure to enjoy what Star Wars Battlefront offers, providing you play in small doses. 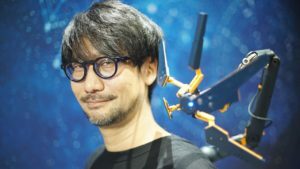 If you over indulge, there is a good chance you will tire of the content and be desperate for the rollout of the DLC – I just hope that it’s good. Redirects you to a site that wants you to pay . It redirects me to a site where I have to buy it and to me this is not free. yes i can is one of the best games of 2015. one of the best games, thanks of 2015, i like it and i love it. Pros: the picture, looks so real. 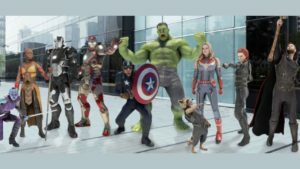 it looks like the movie. What do you think about Star Wars Battlefront (2015)? Do you recommend it? Why?